Will the real John Abraham please stand up? Home bollyfmblog John Abraham Whats New Will the real John Abraham please stand up? Both are of Malayali descent. They have the same name. John Abraham. One is popular for lowering his trunks in a hindi film. The other, a nomadic figure collected chanda money, touring through villages, beating a drum, making what he called, "people’s cinema." All this before crowd-funding campaigns became the norm. So who was this John Abraham rarely heard and seen? Outside of the Malayalam film industry, where he is worshipped, his work doesn’t have the nationwide release that the other John Abraham gets. Let’s try to separate the men from the boys. John Abraham ((11 August 1937 – 31 May 1987) studied filmmaking at FTII, Pune in the 1960s, under the tutelage of Ritwik Ghatak and of Mani Kaul, whom he assisted on Uski Roti (1969). He then moved to Madras, where he made his first feature Vidyarthikale Ithile Ithile (1971, Malayalam). He followed it with Agraharathil Kazhuthai (1977, Tamil), Cheriachante Krurakrithyangal (1979,Malayalam) and Amma Ariyan (1986, Malayalam). The National Award winning film Agraharathil Kazhuthai is considered a classic. In this satirical film, a donkey strays into a village of upper cast Brahmins and becomes the talking point and the lead character of the film. The then Kerala Government stopped the film from being screened on Doordarshan as bigots rallied to have the film banned. The Sunday Indian called it a “hard-hitting satire on Brahaminical bigotry and superstition.” Agraharathil Kazhuthai is listed among the 100 Greatest Indian Films of all time by IBN Live's 2013 poll. Another film that has a cult following is Amma Ariyan. The British Film Institute features Amma Ariyan in their list of Ten Best Indian movies ever made. The BFI said about Amma Ariyan, "The docu-poetic film about the journey of a group of young men through Kerala, all somehow related to an unidentified corpse, also becomes a journey through the histories of the socioscapes depicted. As the film unfolds in the form of a letter from a son to his mother, Abraham relentlessly uses bodies and landscapes as media through whom a discourse on the search for the cinematic-political is visualised... A highly complex commentary on the history of the relationships between the personal, the social and the political as evidenced from the state's radical political past, the film was made entirely on the basis of public funds backed by the state film corporation." What is unique about Amma Ariyan is Abraham's Odessa Collective (named after a scene from Sergei Eisenstein’s Battleship Potemkin). A group of enthusiasts travelled through villages to collect money from people willing to contribute to become a part of the people’s film movement. The minimum contribution was Rs 2, and the maximum, Rs 500. Amma Ariyan was exhibited across the state of Kerala on a non-commercial basis. The Odessa Collective suffered a setback in May, 1987 when Abraham had a fatal fall from a house top where people had gathered to party. He died a day after his admission to the Calicut Medical College hospital, owing to medical negligence. Abraham had made only four films, but they had a lasting legacy on cineastes. 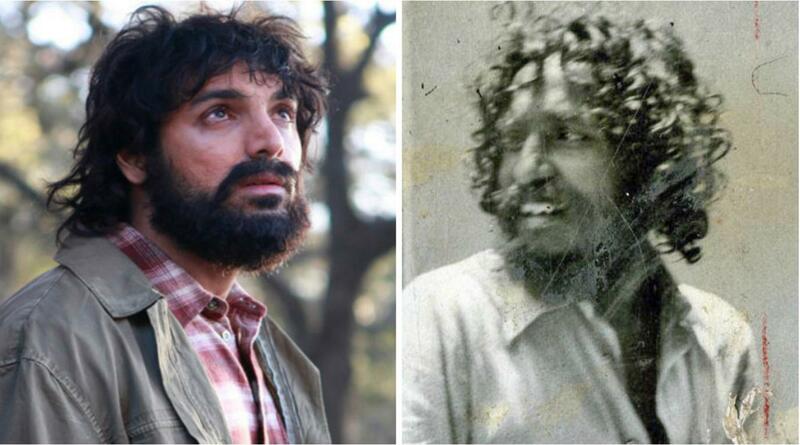 And a coincidence: director John Abraham’s diploma film at FTII, Pune in 1969 was titled Priya. Actor John Abraham’s wife’s first name is Priya. Wouldn’t it be interesting to see John Abraham play John Abraham in a biopic?